It seems like there's a day for everything these days. It was Siblings Day last week. Then National Dog Day and Jackie Robinson Day. A lot of special days. Well, today is Record Store Day, and it has special meaning for a lot of us beyond the great promotion it is for independent record stores. In case you aren't aware, Record Store Day was conceived in 2007 as a way to celebrate and spread the word about the unique culture surrounding nearly 1400 independently owned record stores in the US and thousands more around the world. The first Record Store Day took place on April 19, 2008. Today there participating stores on every continent except Antarctica. Pretty cool. Over the years, a growing number of special vinyl and CD releases have coincided with Record Store Day. There have been in-store performances, meet & greets with bands, DJs, giveaways and much more. It's a way to honor and recognize the unique culture of the independent record store and the role they play and have played in the culture of their communities. For me, the independent record store is important icon. My first real job was in a record store during college. The owner hired me because he kept seeing me in his stores and figured I might as well help out. He mainly needed someone to provide lunch relief and support during the afternoon rush. That was me. I would later manage two of the owner's three Budget Tapes & Records stores, spending more than six years in the business. This was during the heyday of record stores in the late 1970s into the early 1980s. These were important gathering places, often crowded with patrons searching for the latest thing. It was a cultural phenomenon. Watching All Things Must Pass, a Showtime documentary that explores the history of Tower Records, I was carried back to the time when record stores were far more than just stores. Unless you lived through that era, roughly the late sixties through the late nineties, I think it's difficult to appreciate what places like Tower meant to the evolving pop culture. It eventually occurred that I had no future in the record business. Unless you owned a store or, more likely, several stores, there wasn't any money in it. But it was always a fun business, watching the good and bad tastes of music fans in action and being part of the buzz connected to the business. I left for graduate school in late 1983, a move that more or less paid off. I guess. The independent record store has experienced a sort of renaissance in recent times. Part of that, I think, is a reaction to the perceived cheapness of the digital age. 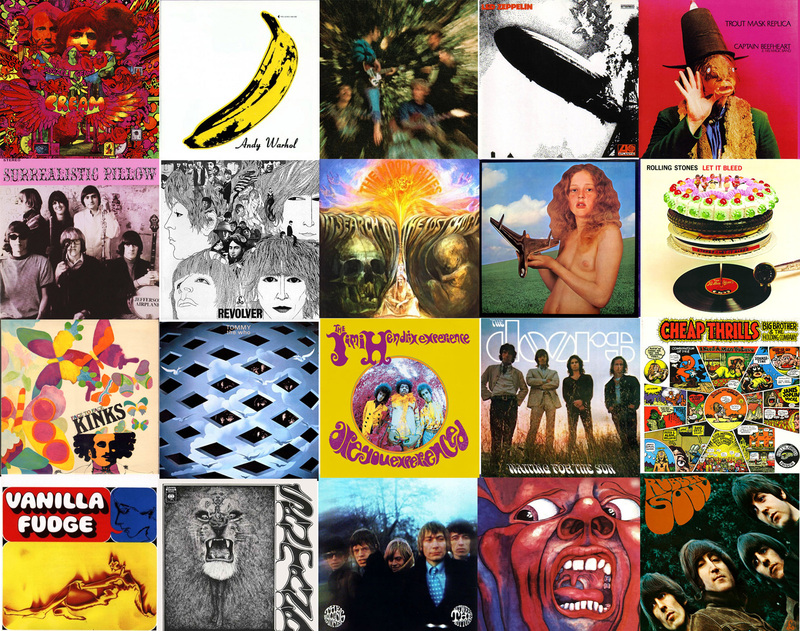 Listening to music on your phone, iPod or computer doesn't provide the same experience as listening to a quality LP or CD on a good system. 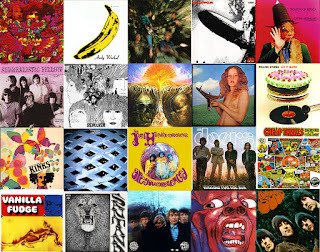 Some folks have chosen the better listening experience, which is good for record stores. For me, breweries and beer bars are the closest approximation of the iconic record store in today's world. People frequent these places to expand their knowledge and participate in the social experience of craft beer. It's a pretty close parallel to what the record store meant to folks a generation or so ago. Of course, beer and music are otherwise connected. You can't walk into a brewery or beer bar without hearing someone's soundtrack. The folks at Dogfish Head Brewing say music has been an important part of their mantra since the beginning. 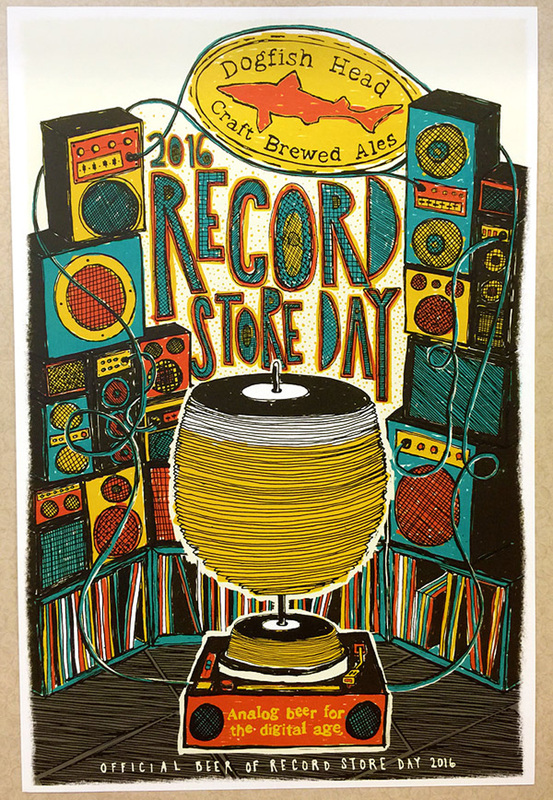 So I suppose it's fitting that, for the second year, they have produced the Official Beer of Record Store Day. It's called Beer To Drink Music To, a Belgian-style Tripel made with ingredients inspired by some of their favorite tunes. It's not clear to me how many places will have Beer To Drink Music To. The list of possible locations in the Portland area is here. I do know Belmont Station is pouring it today and that you'll receive a cool Dogfish Head/Record Store Day pint glass with each purchase of the Tripel, The promotion starts at noon and continues until they run run out of glasses. Even if you're overloaded with glassware like me, this is one you may want to have. There is, of course, a long list of Oregon record stores participating in Record Store Day festivities. You probably won't find beer in those scenarios, but they will have some cool promotions. As the disclaimer above the list says, not all of the listed stores are part of the various promotions. If you want to know for sure, call the store before you walk, bike or drive.